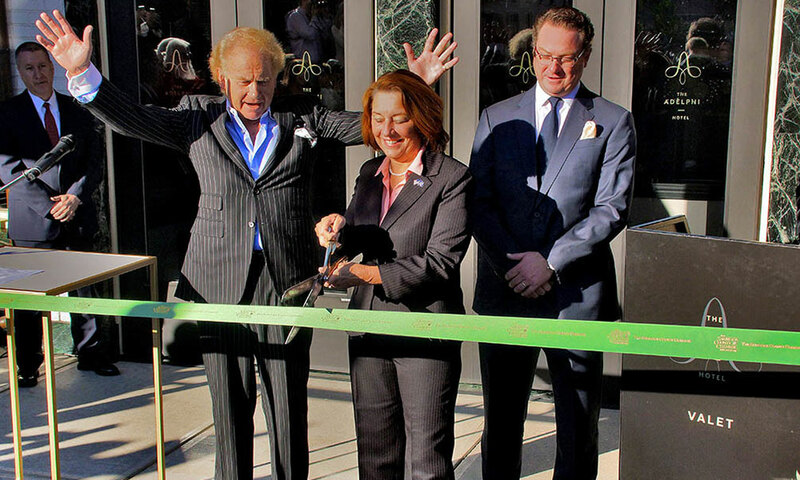 Saratoga Springs Mayor Joanne Yepsen officially re-opened the Adelphi Hotel on Thursday, Oct. 19, 2017, snipping a green ribbon that was stretched across the front doors of the historic Victorian-era building. 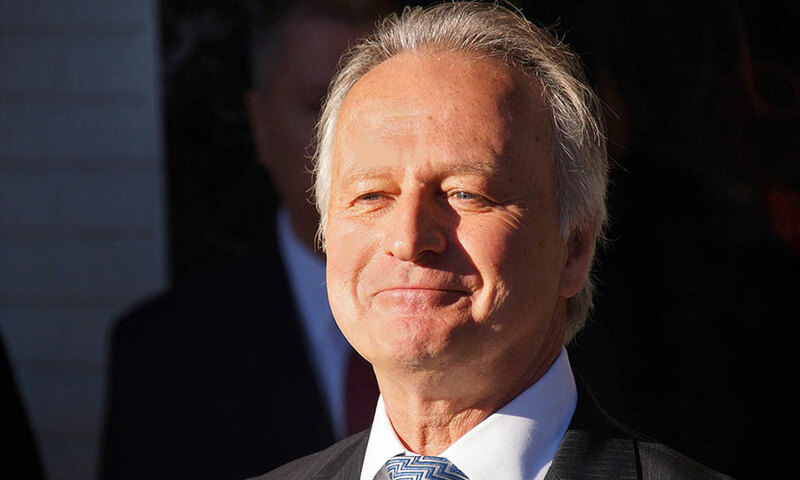 At an outdoor podium on Broadway, Michel Ducamp, chief operating officer of the Adelphi Hospitality Group, welcomed the 50-plus Saratoga officials, media representatives and others in attendance. 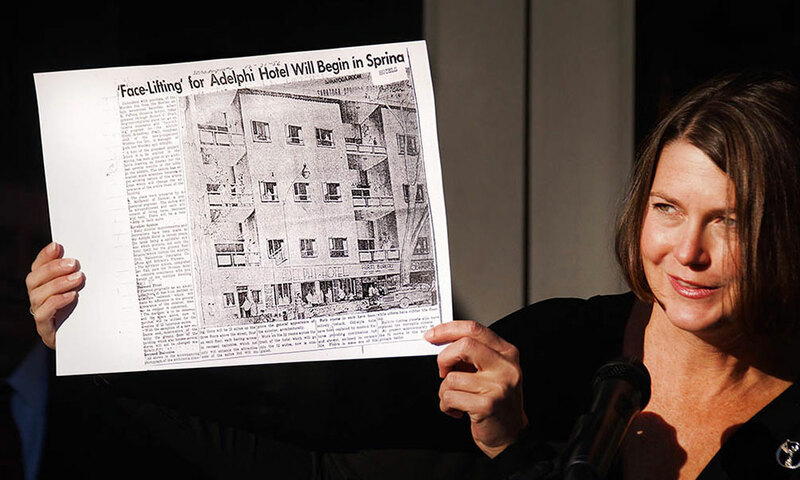 “This is a historic day for Saratoga Springs,” Yepsen said, recounting the history of the Adelphi and then reading a proclamation that hailed the five-year restoration project. 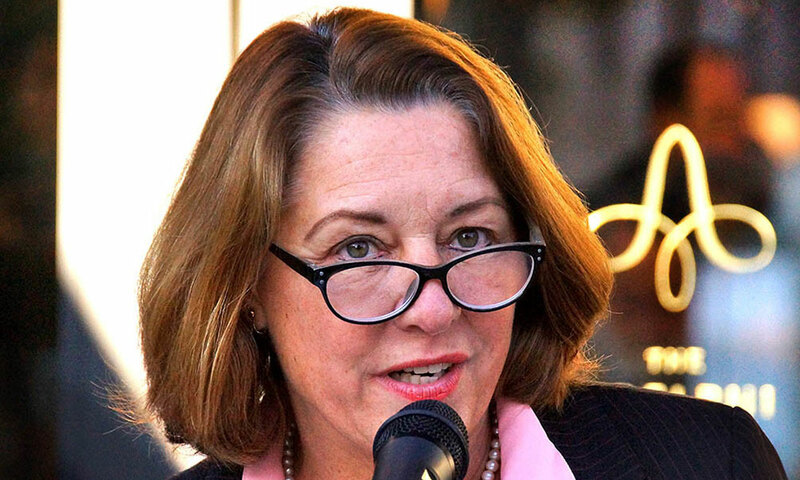 Other speakers included Samantha Bosshart, executive director of the Saratoga Springs Preservation Foundation, and Simon Milde, managing partner of Adelphi Hospitality Group. 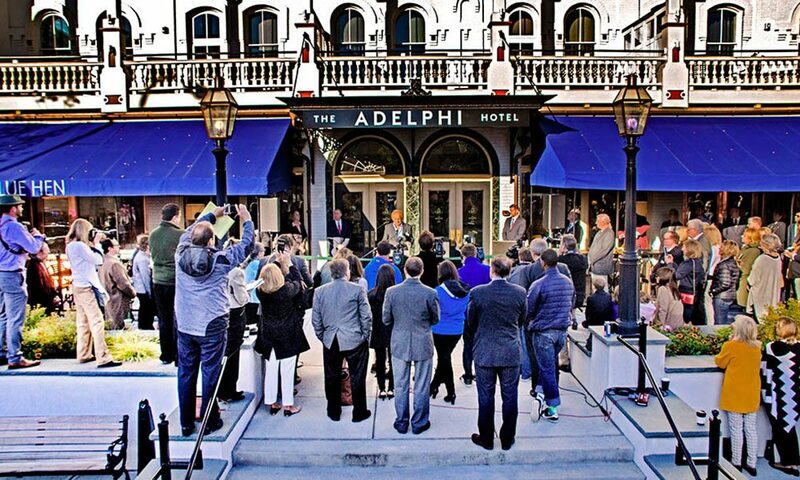 The Adelphi, which is now a luxury hotel, re-opened to the public on Oct. 1. Morrissey’s, a new bar adjoining the main floor lobby, is serving drinks and small plates, and The Blue Hen, a glass-enclosed restaurant behind the lobby, is scheduled to open soon. Originally opened in 1877, the Adelphi is the sole surviving hotel from Saratoga’s Golden Age. 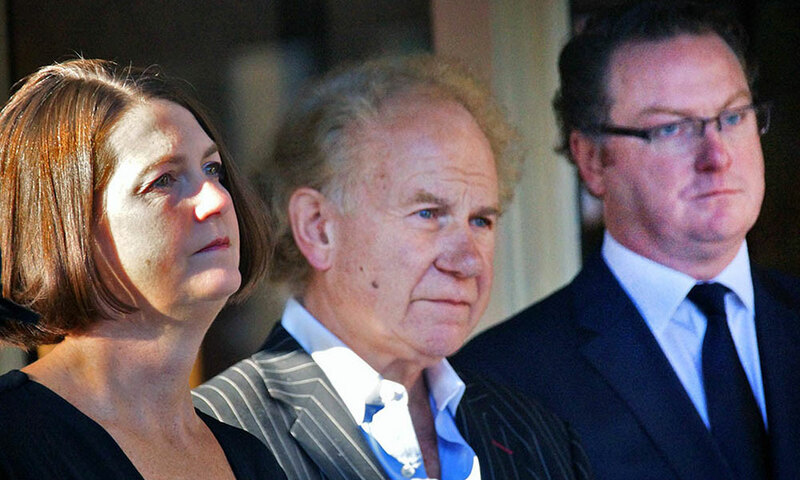 New York-based designer and architect Glen Coben of Glen & Company, and Dominick Ranieri Architect P.C. 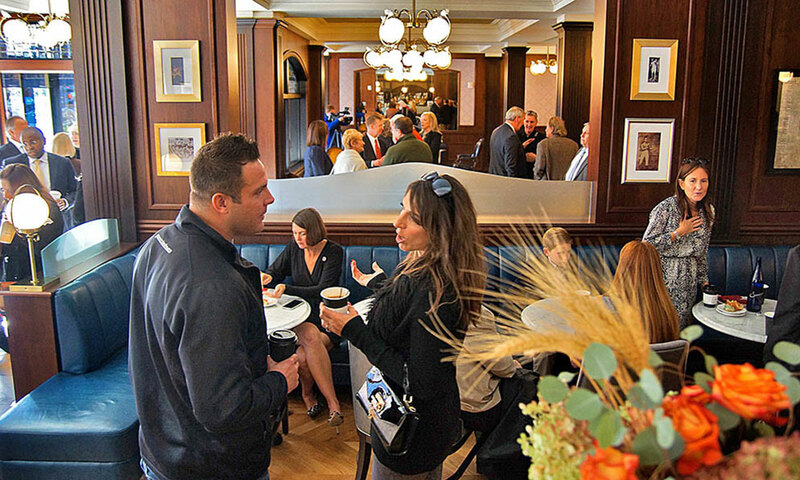 of Schenectady collaborated with the Adelphi Hospitality Group and re-imagined the hotel’s Victorian-style interior with a modern twist. From the lobby, a grand four-story staircase leads guests to the 32 rooms and suites. 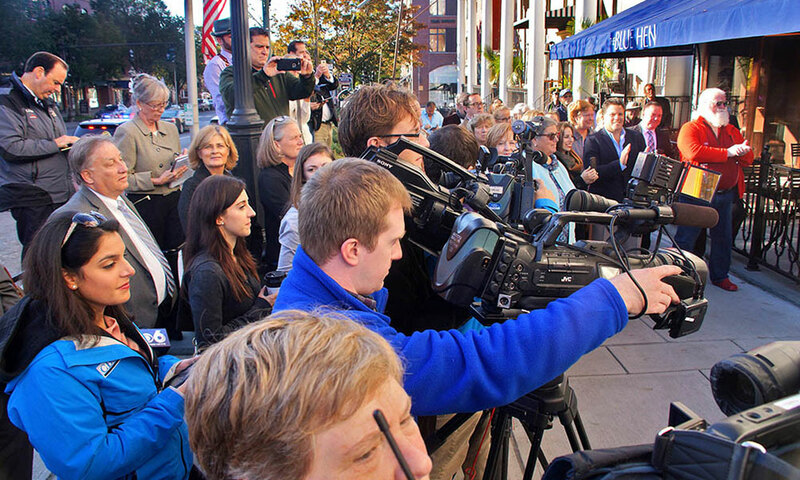 See the Holiday Saratoga Living for a grand tour. For more information, visit theadelphihotel.com or call (518) 578-6000.